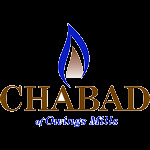 Celebrate the Holiday of Freedom with our communal family at Chabad Owings Mills! with Chabad of Owings Mills! Rabbi K. will represent you in your acts of charity and financial support.